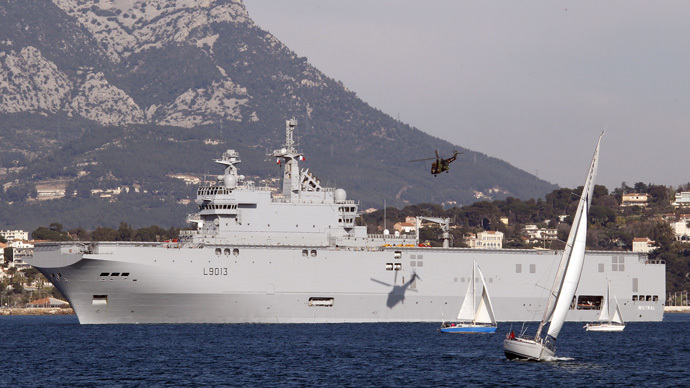 French and Russian humor may differ, but people in both countries have almost simultaneously placed ads on customer websites, 'selling' the Mistral ships. The offer got quite a response, with people asking for specifications and possible discounts. 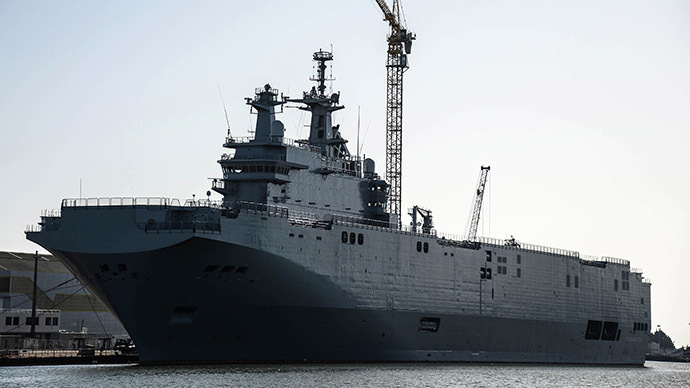 Placed in the motor boats and yachts section, a Russian “seller” promoted the military helicopter carrier as a perfect vessel for private car transportation, pointing out that "Mistral can carry up to 60 SUVs or 13 battle tanks," adding that "helicopters and tanks are being sold separately, with optional discounts if bought as a set." 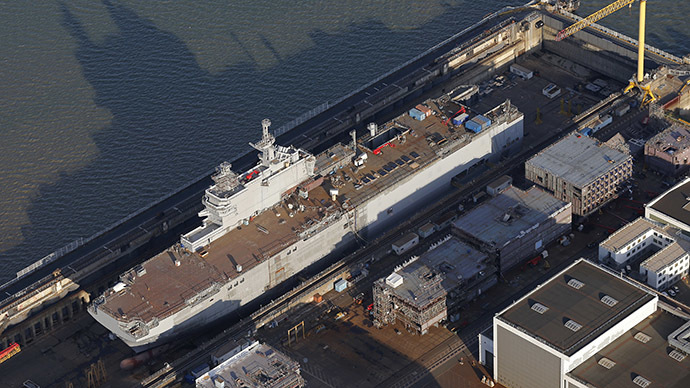 The Mistral warship was being offered for a staggering 67.2 billion rubles (€1.15 billion euro). 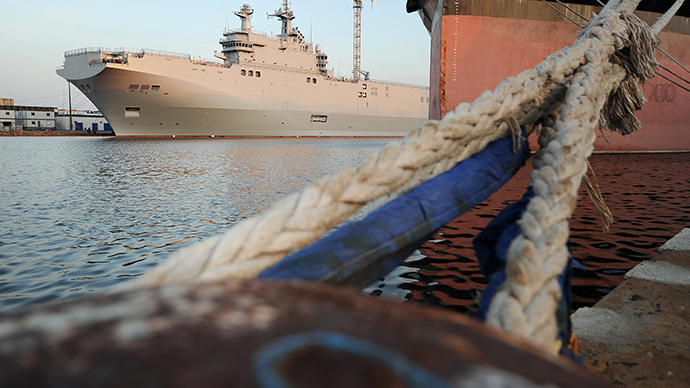 Russia's contract with France quotes almost the same price for the two Mistral-class amphibious ships. Potential buyers were interested in down-to-earth details, with the “seller” having to swear the listed item is brand-new, has not been hijacked, and has moderate fuel consumption. Some wanted the vessel in a different color, but the ad said only one option was in stock, with other shades possible if made to order. By the way, the buyer has to pick up from France as there is currently no delivery option. 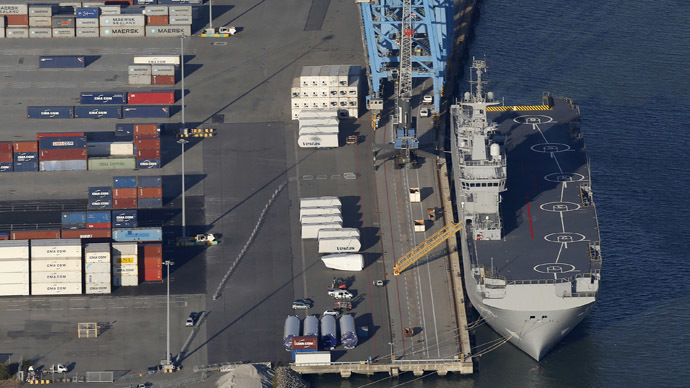 Some were so desperate to own the much talked about Mistral, they studied the law and found out that marine vessels were listed as real estate, and were considering mortgage options to purchase the ship. French “sellers” wanted cash only and said they were not accepting rubles. "You can take lovely boat tours in complete safety, as the ships can resist both nuclear and biological weapons attacks," the ad on the French Leboncoin source said. It was later deleted from the website, according to Interfax. 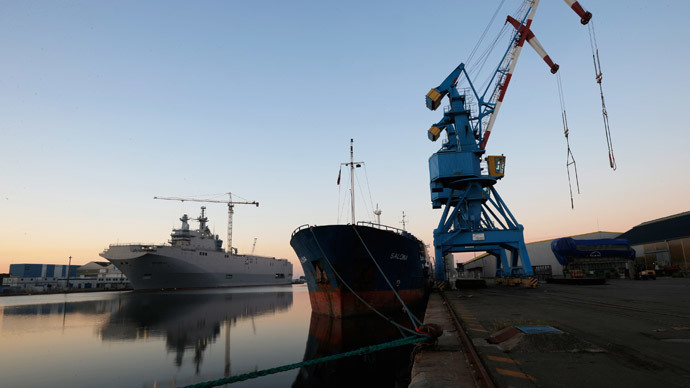 Under the real deal, Russia was due to receive its first Mistral, the Vladivostok, last month, but Paris stalled the consignment. The contract was suspended over the crisis in eastern Ukraine, with France facing a multibillion-dollar fine, if it fails to deliver the warships.